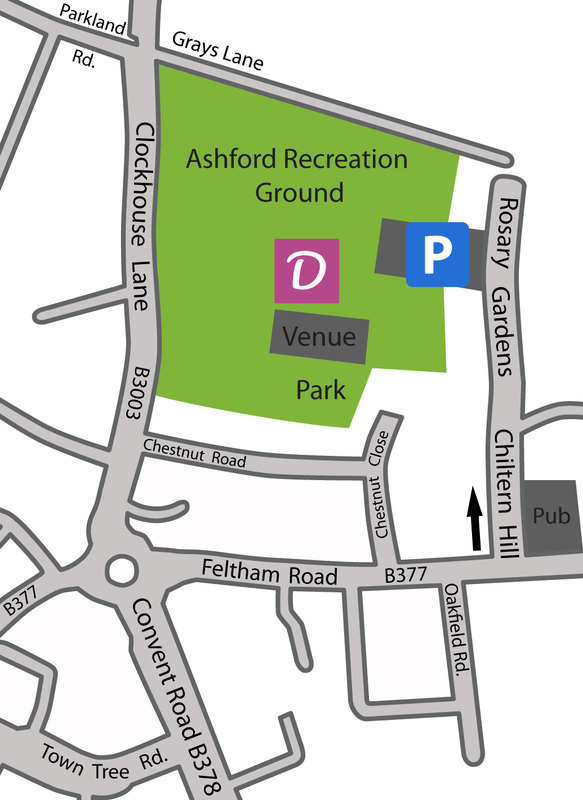 Secure, disabled parking is available on a Spelthorne Borough Council car park on Rosary Gardens. Wheeelchair access and disabled toilet facilities provided at the venue. Secure, disabled parking is available, Dramatize permits to be displayed. Wheeelchair access and changing places toilet facilities provided at the venue. Secure FREE parking and disabled parking is available in the public car park next to venue. Wheeelchair access disabled toilet facilities provided at the venue.